If you are like me, the parent of a biracial child whose better half is of a different race, then you probably field these questions on a fairly regular basis. And I’m absolutely fine with it. I understand that my being a Caucasian woman with a Chinese last name raises lots of questions (answer: my husband was born in Cuba, but his grandfather was Chinese). My daughter looks like me AND my husband: she has darker skin than mine but lighter skin than his. 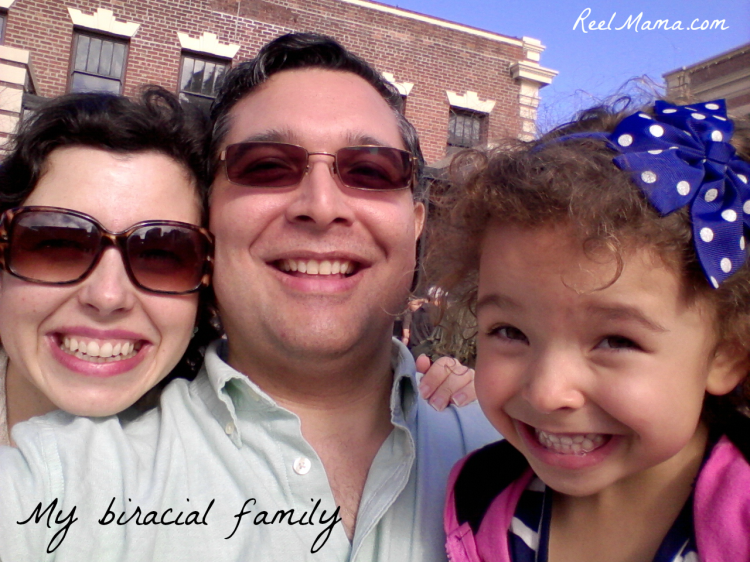 Many people realize that she’s biracial, and they wonder if she is part Asian, African-American or Hispanic. I don’t think about race on a daily basis, but when other people see our interracial family, I understand that they probably do. People still have questions, and that’s fine, because it’s framed in a positive context of genuine interest. There are blended biracial families and adoptive biracial families, but when it comes down to it, they are just families, loving families. When I heard that a mom whose baby is biracial because of a mistake made at a sperm bank is suing, I had to wonder why. I know the superficial reason: because she wanted the baby to be the same race as herself and her partner. The sperm donor was not the one the mom had originally selected. It turned out that he was an African-American man, not a blond-haired, blue-eyed Caucasian man. Yet I don’t get why this mom needs to go on a crusade to “rectify” the situation. The little one is her beautiful daughter. Why does it matter if she looks exactly like her and her partner? I don’t get how or why it makes a difference. Years from now, her daughter is going to read about how her lawsuit made headlines, and it could destroy her family. The sperm bank made a mistake, but I believe this mom is suing for the wrong reasons. A loving family is what counts. This woman has a beautiful family. Besides, racial differences should be celebrated, because they make humanity so interesting. If you want to have a baby you should not complain if the baby is biracial instead love the baby that grows inside your body. The mom who is suing the sperm bank is out of her mind. She will make things complicated in the future on their family. I hate people who are racist.